The papers provided here are intended only to facilitate quick dissemination of the concepts the contain. Please acquire the published version in order to see them in their final form. There are many systems that involve dynamic behavior occurring at different time scales, or involve fast and slow dynamics. This means that portions of the system may move quickly, the high frequency vibrations of atoms for example, and other portions may move slowly, such as the gross motion of the objects composed of those atoms. These fast and slow dynamics are often caused by some disproportionality in the system. This can include a disproportionate physical size of objects, mass of different objects, and/or size of inertia and active forces acting on the system. This often occurs for systems at very small length scales, particularly the nanoscale. These systems include the motor protein shown at the left, and many other biological systems funcitioning at the cellular level. We are examining new methods of achieving fast dynamic simulation of multiscale systems. In hybrid dynamic simulation, discrete and continuous events are combined in order to predict a system's motion. Currently this work focuses on the simulation of simultaneous impact and contact while considering energy consistency and Coulomb friction. 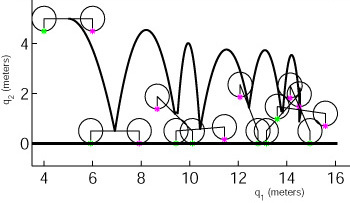 Many different types of systems experiencing discrete events can be modeled using this approach. One of the applications for this project is analysis of simultaneous impact and contact in agile locomotion. VIDEOS Latest hybrid simulation videos. This project examines hard and soft manipulation including systems that use both. The terms "hard" and "soft" refer to the rigidity of the surface used to manipulate an object. The object in this study is the human body, and the goal is to manipulate the size and duration of contact forces acting on the skin in order to prevent the formation of pressure ulcers. 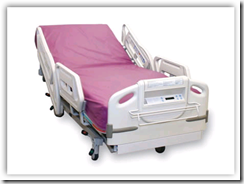 The outcome will be a prototype bed that can achieve a desired time history of pressure distribution across the body. Collaborators on this project are Prof. Mehrdad Nourani in the Dept. of Electrical Engineering at The University of Texas at Dallas, and Prof. Deborah Behan in the School of Nursing at The University of Texas at Arlingtion. 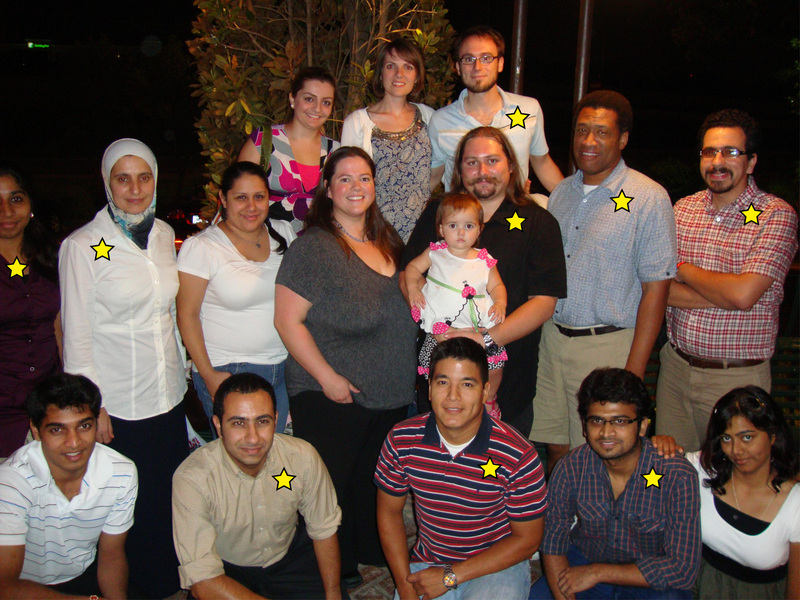 Rasoul Yousefi, S. Ostadabbas, M. Faezipour, Mehrdad Nourani, V. Ng, Lakshman S. Tamil, Alan Bowling, Deborah Behan, and M. Pompeo. A smart bed platform for monitoring & ulcer prevention. In Proceedings of the 4th International Conference on BioMedical Engineering and Informatics (BMEI), October 15-17, 2011. Donghua University, Shanghai, China. Accepted for publication. This project involves the development of new design methodologies for producing agile legged locomotion systems. Legged systems utilize contact and impact forces in order to locomote through the environment. One goal of this work is to develop a performance analysis which includes these forces and tells how well a legged system can utilize ground contact to accelerate itself. This analysis will form the basis for new design methodologies. A key element in this type of performance-based design is that the performance is described in terms of functions which are nonlinear in the variables of interest particularly configuration variables. Statistical optimization techniques are being explored which can address these nonlinearities allowing one to quantify performance over the robot's workspace without exhaustive sampling of the configuration space. VIDEOS Videos of the new leg design jumping. This project involves the development of methodologies for autonomously producing stable periodic and nonperiodic motions for legged robots. The periodic motions are often referred to as gait motions while the aperiodic motions are referred to as agile motions. In both cases, the goal is to generate these motions autonomously without the use of motion primitives or any other predefined motions. The effort is to identify general motion principles for legged locomotion, from examination of the equations of motion, upon which a control algorithm can be based. This work also involves studying the integration and fusion of sensor information in order to provide adequate feedback to the control for producing stable locomotion. VIDEOS Agile locomotion of a planar quadruped. PDF Yanto Go, Xiaolei Yin, and Alan Bowling. 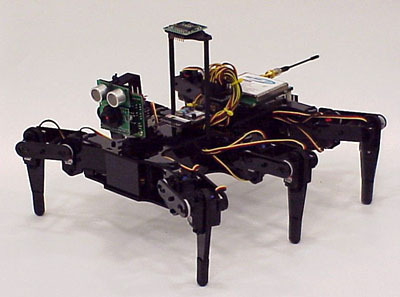 Navigability of multi-legged robots. IEEE/ASME Transactions on Mechatronics, vol. 11, no. 1, pages 1-8, February 2006. 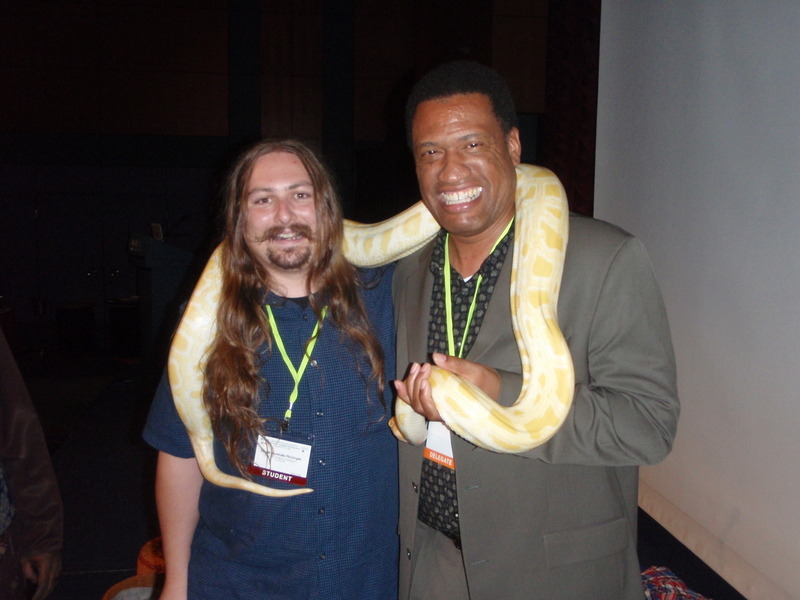 PDF Sean Harmeyer and Alan Bowling. Autonomous gait generation using acceleration capability analysis. Proceedings of the IEEE/RSJ International Conference on Intelligent Robots and Systems (IROS), vol. 3, pages 2127-2133, August 2-6, 2005. Edmonton, Alberta, Canada. 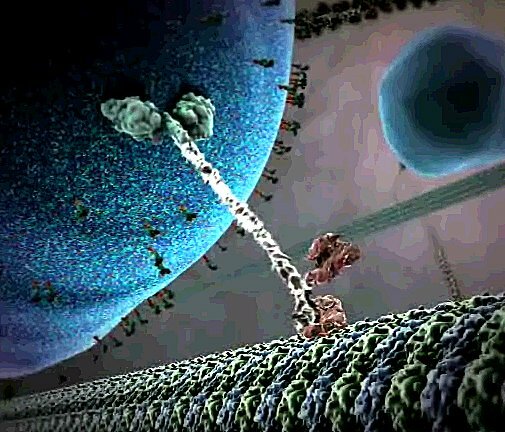 This project involves the development of a model of fibroblast locomotion through a matrix of collagen fibers. 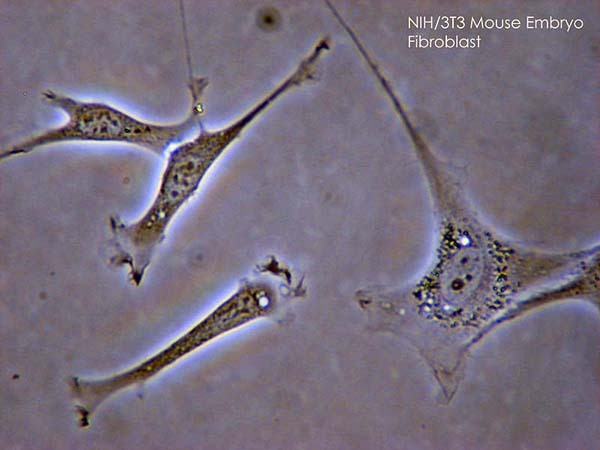 These cells can secrete collagen fibers as well as adhere to them. They can the create a fiber matrix, locomote through it, and compact it. These functions are critical in wound healing which is the subject of this work. The model being developed consists of a collagen fiber matrix along with the cell. VIDEOS Preliminary development of planar collagen fiber matrix. The goal of this project is to develop control strategies for reducing energy usage in data centers. These strategies are based on redistributing computational loads and active cooling within the center to minimize energy usage. Data centers use approximately 2% of the power generated in the United States so it is worthwhile endeavor to improve their efficiency. 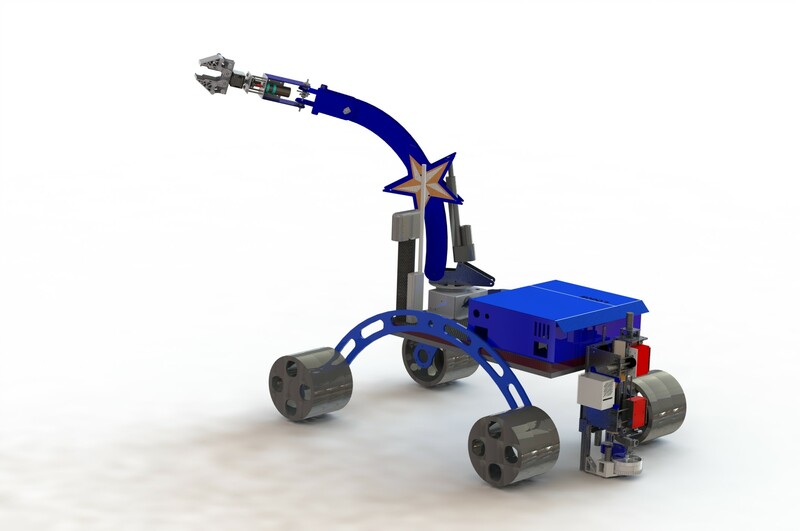 This project is a collaboration with Prof. Dereje Agonafer in the Department of Mechanical and Aerospace Engineering at the University of Texas at Arlington, Prof. Bahgat Sammakia in the Department of Mechanical Engineering at SUNY Binghampton University, and several industry partners. 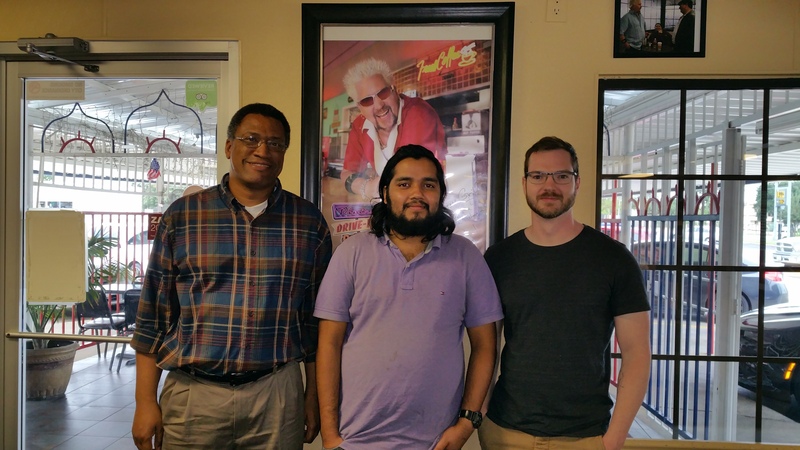 This is one of the projects comprising the broader NSF Industry/University Cooperative Research Center for Energy-Efficient Electronic Systems initiative. Here robotic manipulator dynamics are studied. This mainly involves characterizing the force and acceleration capabilities of robotic manipulators. These capabilities refer to a manipulator's ability to accelerate its end-effector and to apply forces to the environment at the end-effector. These abilities determine a mechanism's ability to manipulate grasped and non-grasped objects. Performance measures and design methodologies based on this characterization are also developed. In this work, the effect on performance resulting from the mass properties of flexible components in a robotic system is studied. Cable-driven robotic manipulators are of particular interest here, with a goal of determining the conditions under which the cables will yield. These conditions impose a limit on the performance of the system and this project is concerned with determining those limitations. The long term goal is to incorporate other sources of flexibilities into the analysis such as link and joint flexibilities. PDF Xiaolei Yin and Alan Bowling. Dynamic performance limitations due to yielding in cable-driven robotic manipulators. ASME Journal of Mechanical Design, vol. 128, no. 1, pages 311-318, January 2006. The links to personal web pages are provided as a courtesy to lab members. Any opinions expressed on a personal page are solely those of its author and do not necessarily reflect the views of any other lab member, including faculty. 8/10/18-Group dinner at Mariano's, Arlington, Texas. 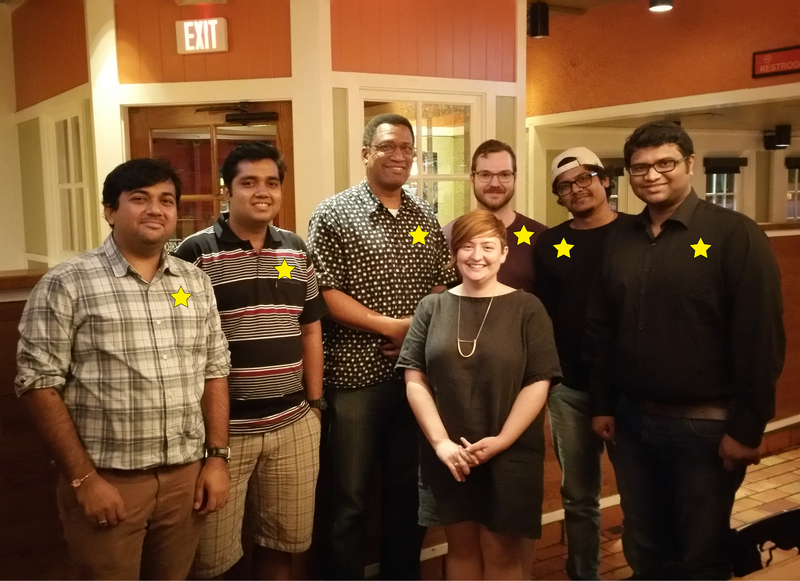 LtoR: Ashley Chase Guy, Vatsal Joshi, Abhishek Chatterjee, Alan Bowling, Rashi Jain, Regan Kubicek, Manoochehr Rabei, Eric Havenhill, Jariana Musgrove. 8/18/17-Group dinner at BJ's Brewhouse, Arlington, Texas. LtoR: Ashley Chase Guy, Vatsal Joshi, Brian Bray, Abhishek Chatterjee, Alan Bowling, Gurashish Singh, Iretomiwa (Tomi) Esho, Regan Kubicek. 10/6/16-Group dinner at Prince Lebanese, Arlington, Texas. LtoR: Alan Bowling, Abhishek Chatterjee, Ashley Chase Guy. 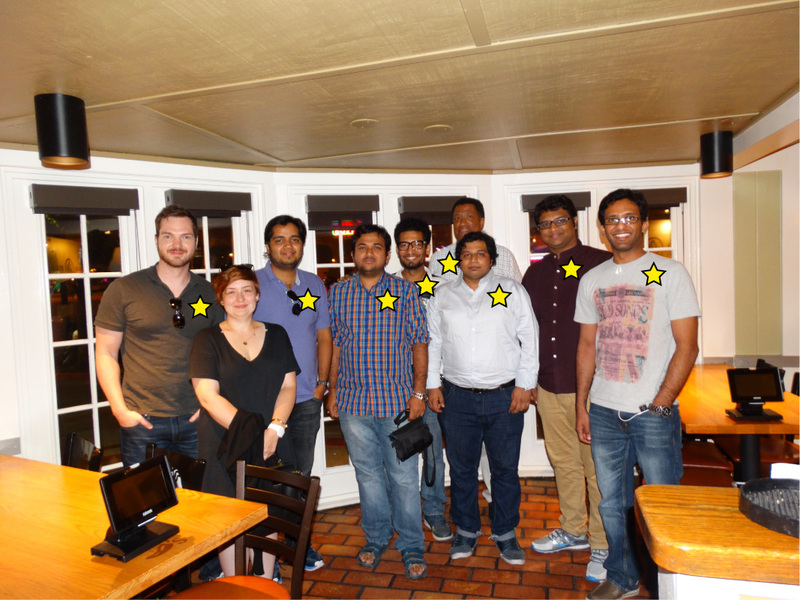 8/24/15-Group dinner at Chili's in Arlington, Texas. LtoR: Pranav Parikh, Abhishek Chatterjee, Alan Bowling, Ashley Chase Guy, Darpan Pol, Nachiket Kansara. 8/12/14-Group dinner at Chili's in Arlington, Texas. LtoR: A. Chase Guy, Abhishek Chatterjee, Pranav Parikh, Rohit Katti, Alan Bowling, Amit Kumbhar, Nachiket Kansara, Yatish Nagaraj. 5/6/14-Group dinner at BJ's in Arlington, Texas. 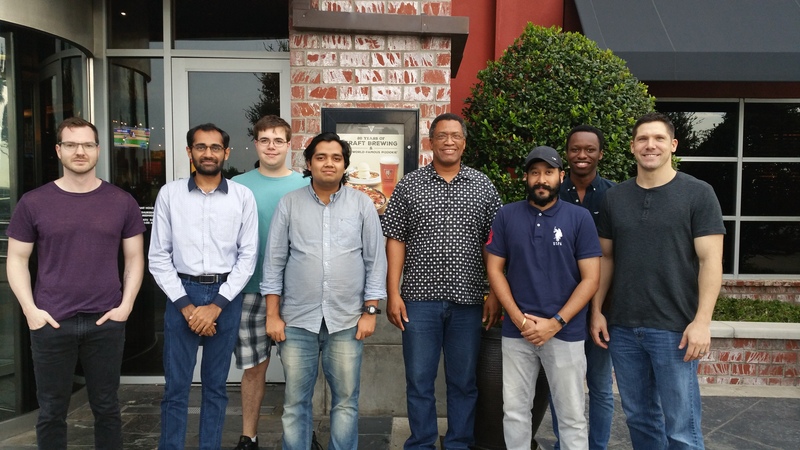 LtoR: Rohit Katti, Nachiket Kansara, Abhishek Chatterjee, Adrian Rodriguez, Mahdi Haghshenas-Jaryani, Blesson Isaac, Alan Bowling, Pranav Parikh, Yatish Nagaraj, A. Chase Guy. 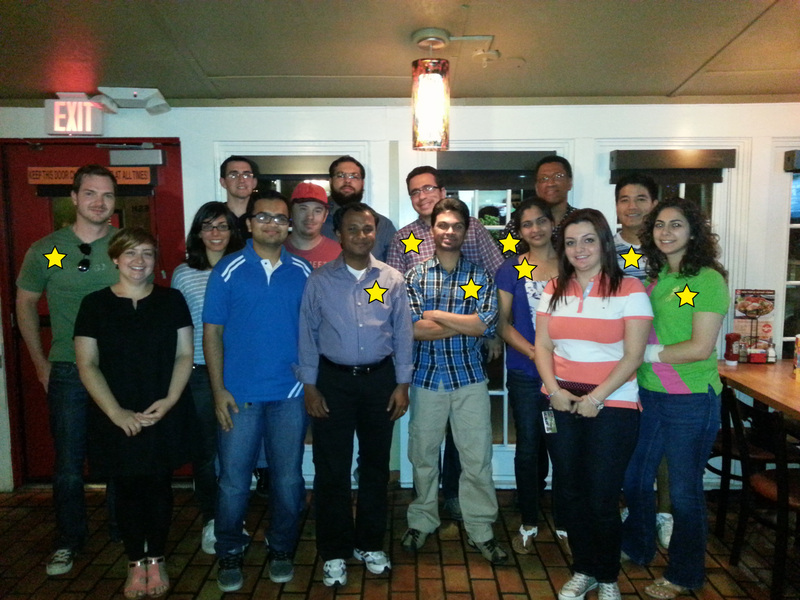 8/29/13-Group dinner at Chili's in Arlington, Texas. LtoR, Back: Mahdi Haghshenas-Jaryani, Alan Bowling. Front: Chase Guy, Blesson Isaac, Anudeep Palanki, Shamali Vardhmane, Adrian Rodriguez, Sarvenaz Ghaffari. 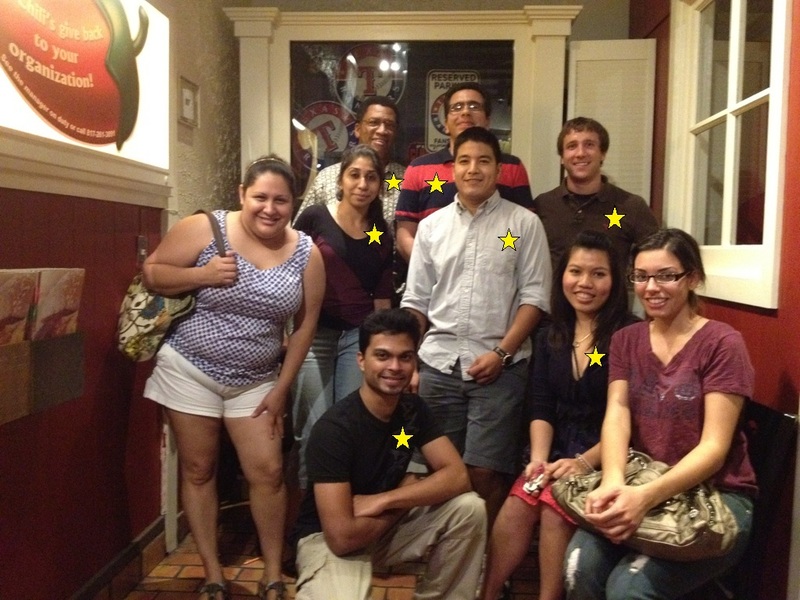 8/14/12-Group dinner at Chili's in Arlington, Texas. LtoR, Back: Alan Bowling, Mahdi Haghshenas-Jaryani, Zachary Brush. Middle: Parvati Aruna Kandala, Adrian Rodriguez. Front: Anudeep Palanki, Nguyen Tran. 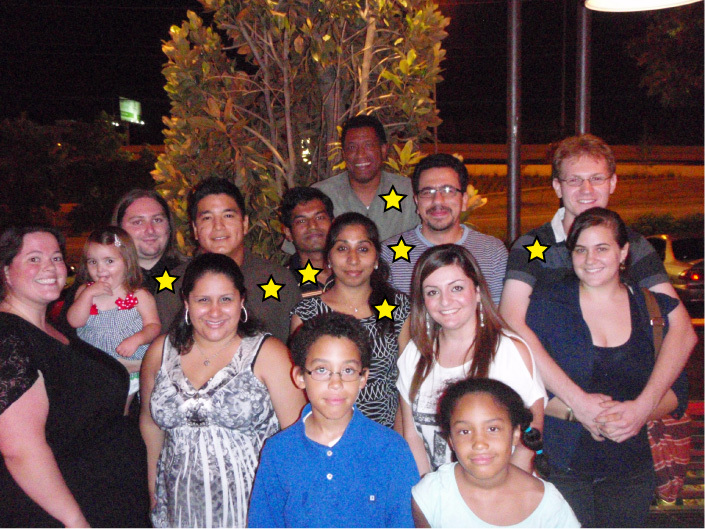 8/7/11-Group dinner at Pappadeaux in Arlington, Texas. 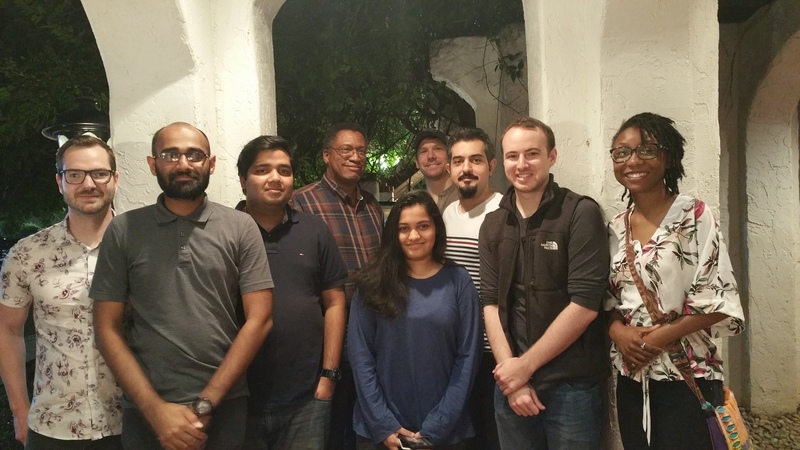 LtoR, Back: Alan Bowling, Middle: Daniel Montrallo Flickinger, Adrian Rodriguez, Tapas Dey, Mahdi Haghshenas-Jaryani, James Drake, Front: Parvati Aruna Kandala. 8/24/10-Group dinner at Pappadeaux in Arlington, Texas. 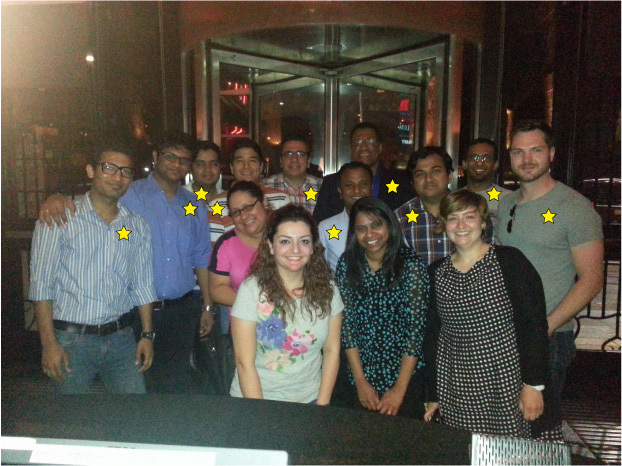 LtoR, Back: Drew Morgan, Middle: Parvati Aruna Kandala, Nesreen Alsmadi, Daniel Montrallo Flickinger, Alan Bowling, Mahdi Haghshenas-Jaryani, Front: Michael Tadros, Adrian Rodriguez, Srider Thirupachoor Comerica. 7/25/09-Group dinner at Pappadeaux in Arlington, Texas. 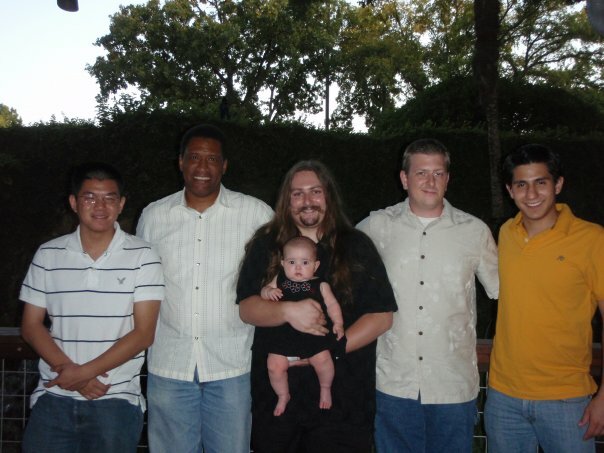 LtoR, Shih-Chein (George) Teng, Alan Bowling, Daniel Montrallo Flickinger, Oriana Flickinger (Honorary), Ryan Robertson, Salvador (Chava) Jimenez. 7/16/09-Entertainment at banquet dinner, AIM'09 in Singapore. 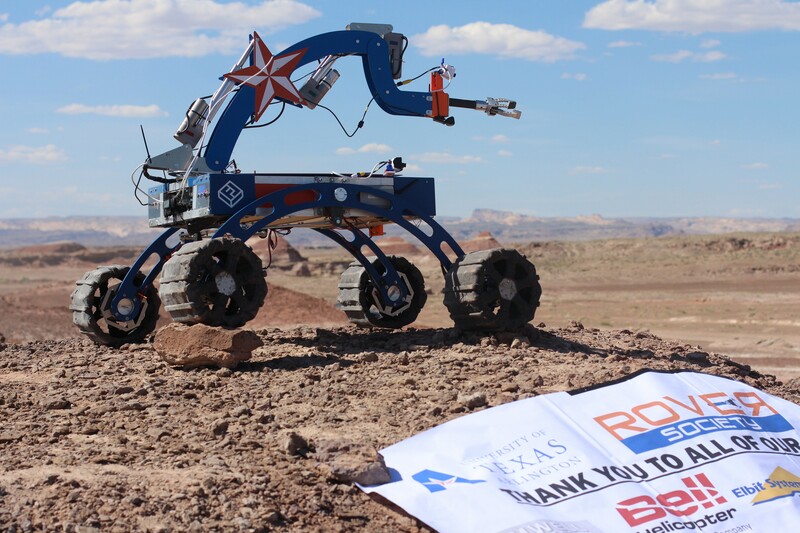 Students design and build a mars rover which they teleoperate from a remotely located base station. 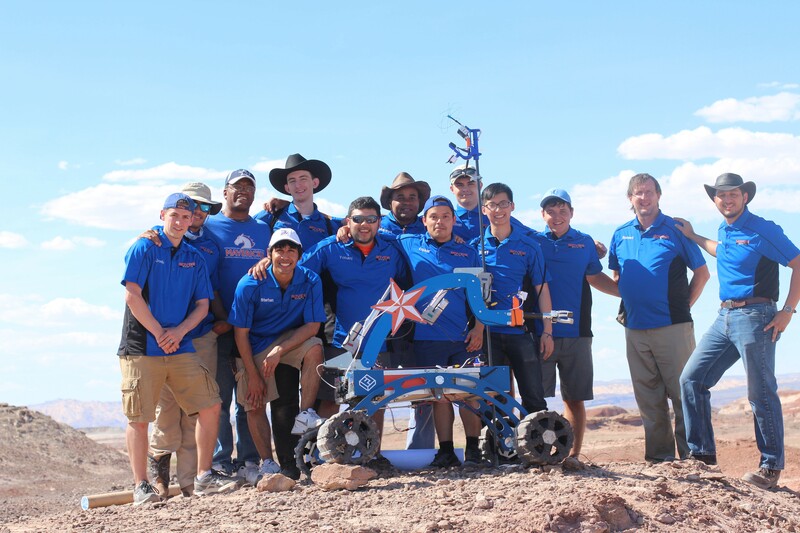 This year we will be competing in the University Rover Challenge held at the Mars Desert Research Station in Hanksville, Utah usually around the end of May. This is a fun and exciting competition. Learn more about it at URC. The 2017 rover out in the Utah desert.